Run by Brake, UK Road Safety Week – now in its 20th year – takes place 20-26 November 2017 and will focus this year on the theme of Speed Down Save Lives. 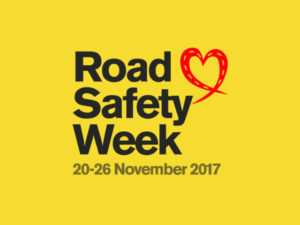 Resources are available to all companies who register for free via www.roadsafetyweek.org.uk and include downloadable and interactive resources aimed at both drivers and children, advice on how to promote slower speed limits, and case studies of what other companies have done. Organisations with staff who drive for work can also make use of guidance from Brake Professional’s membership scheme to develop year-round fleet safety practices. A free webinar about how companies get involved took place last month and is now available to watch via the Road Safety Week website. And for the first time, companies can see what others are doing across the UK via a new interactive map. For more details and to register for a free online pack, visit: www.roadsafetyweek.org.uk/organisations.